The YouTube video streaming website is full of entertaining, educative and informative video files that can easily be watched from various handheld and computer devices. However, this beneficial website lacks a set of dedicated tools that can be used to download such video files for offline viewing forcing various computer and smartphone users to look for alternative reliable YouTube video downloader applications and computer programs. This article is going to focus entirely on a computer program known as the fastest YouTube movie downloader for Chrome. Apart from Google Chrome, iTube Studio fully supports other conventional web browsers like Safari, IE, and Mozilla Firefox. It is almost impossible to lose the quality of downloaded video and audio files thanks to the beneficial tools that ensure media file quality is retained. It enables users to directly export mp3 audio files automatically from YouTube to iTunes easily. There is an inbuilt media player that enables Mac users to play their offline video and audio files directly from the program itself. 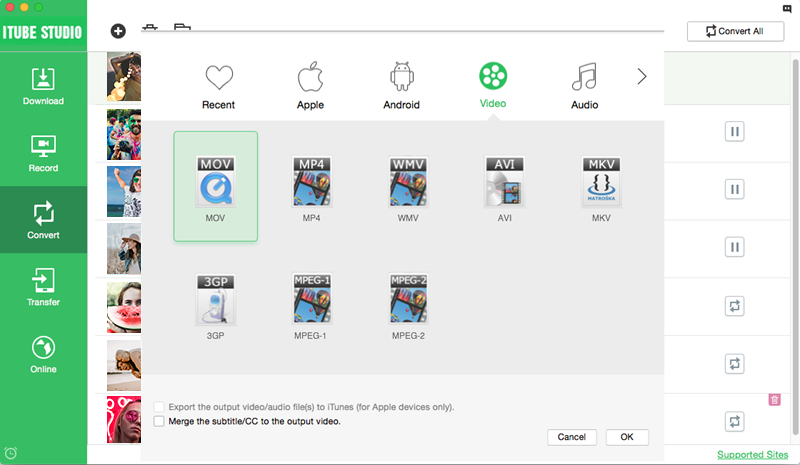 Mac users can also create their own personalized video and audio libraries using the software. Powerful video conversion tools. 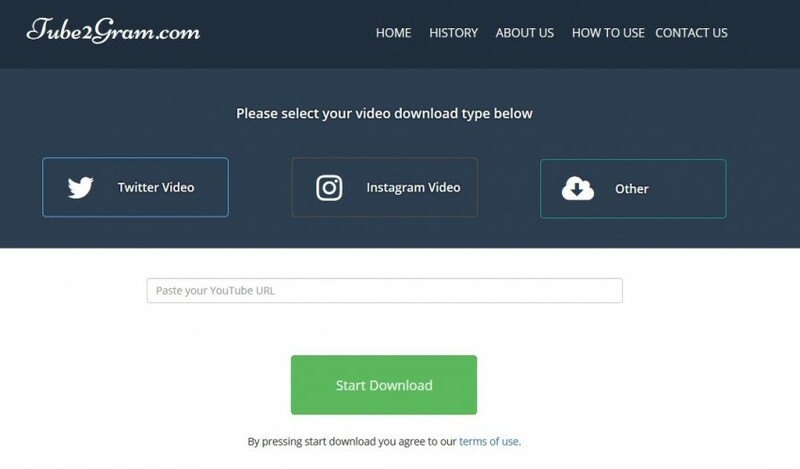 It is a reliable computer program that enables users to not only download their favorite YouTube videos but also allows them to convert the downloaded videos into various universal formats supported by their devices. An attractive user-friendly interface. Mac users can experience up to three times the normal video download speeds when using this amazing computer application. 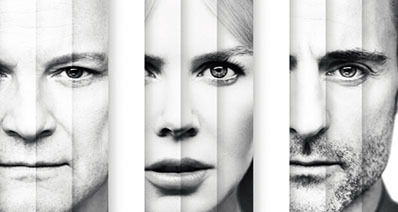 A dedicated inbuilt media player. Support for batch video download and conversion. .
Ability to Support over 1000 video streaming websites. You can always download high definition videos from more than 1000 video sharing sites including VEVO, Dailymotion, YouTube, Facebook, Vimeo, Metacafe, and FC2 among others directly from your mac using the program. A responsive task scheduler for managing future downloads. The first step is to install the iTube Studio for Mac application. Then run the program once the installation process is completed. Open Google Chrome and visit the official YouTube Website (youtube.com). Once you are there, look for your favorite video and wait for the video download button to show up at the top left section of the open video. 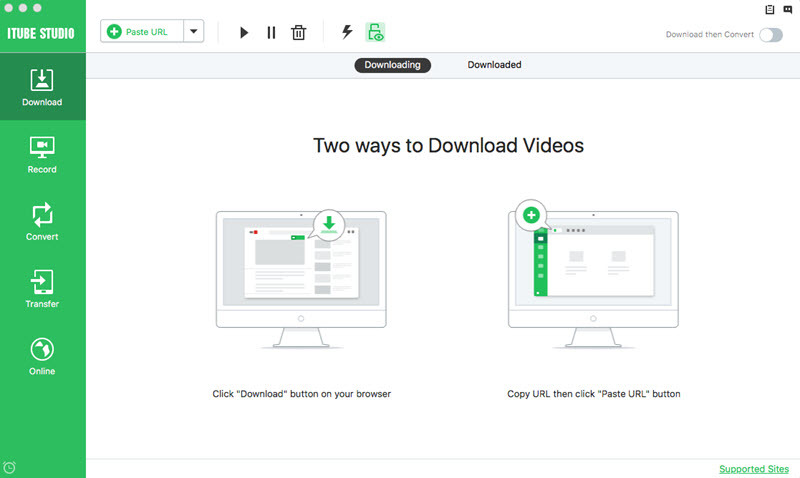 The iTube Studio for Mac application offers three unique video downloading options that you can use. Kindly chose one of the steps below to complete your YouTube video download process. Method one: You can let the iTube Studio for Mac, YouTube download wizard to automatically complete the video downloading process by itself by selecting the "Download" button and waiting. Method two: You can also directly drag the intended video URL to the "iTube Studio for Mac" application dock and wait for the download process to start. 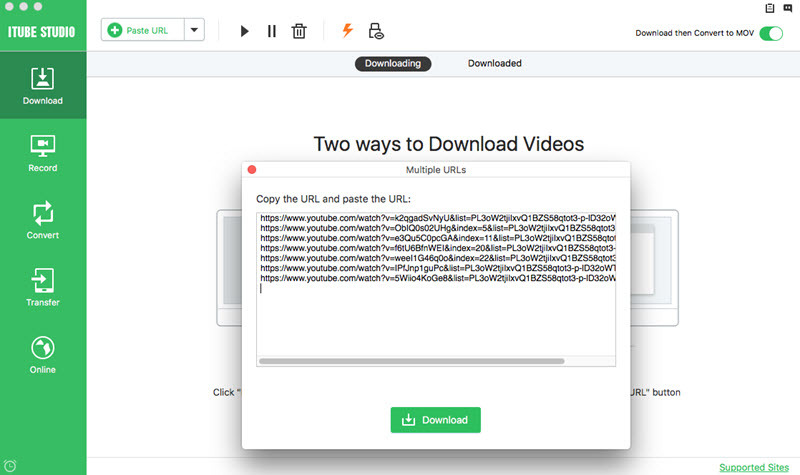 Method three: The last option is to copy the intended video URL and click "Paste URL" button in the program's primary window to capture the video instantly. Problem: Google Chrome automatically blocks your video downloads. Solution: This may happen as a preventive measure initiated to discourage the downloading of harmful files including viruses and malicious Trojans that may cause serious problems to your computer. The only remedy for this is to either choose to ignore this warning when you have a reliable antivirus in place or to skip the download process and look for the video file from other credible sources. Solution: Such errors may occur due to various factors, including network problems, lack of disk space, detection of harmful files, and the need for additional authorization. Kindly locate and read the warning message as it will not only provide you with the cause of the download error but also suggest some of the measures you can undertake to solve the problem. Problem: Prevention of visiting a particular website at a given time. Solution: This problem is normally brought about when chrome discovers that either your computer or internet connection may be affecting the secure loading of the web page. You can solve this by either refreshing the page, visiting the site at a later time when a secure connection has been established or reconnecting from a different network. The YouTube movie downloader for chrome discussed above is definitely the most ideal online video download computer program. Its unique features and amazing ease of operation makes iTube Studio for Mac a must have computer application for all Mac users.